From decades of experience creating and perfecting hearing aids, Hansaton has released their new line of hearing aids; sound SHD. Created with the new SphereHD chip technology, the sound SHD 7 has the ability to analyse the various acoustic and speech signals we encounter in our day to day lives in the most natural way. 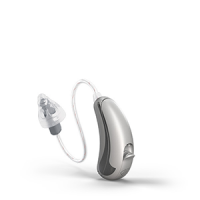 Available in seven neutral colours, the line also has three different battery models to choose from in order to provide consumers with their best possible hearing aid experience. The award-winning sound SHD S312 features an ergonomic design that provides the user with both a small size and a large battery life. This model is especially beneficial to those who struggle with smaller models as this one has an easy-to-find push button and battery compartment. The sound SHD 10 is the smallest of the three and does not compromise the quality of sound for the size, and is perfect for those who prefer discreetness regarding their hearing loss. The sound SHD S13 is the most powerful, and therefore largest of the three, and is optimal for those who have more severe hearing losses and refuse to compromise the clarity of their hearing due to an increase in amplification. 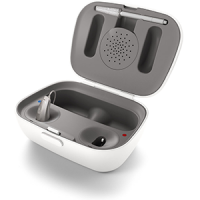 This hearing aid works well in various environments from Quiet to Music and functions by automatically scanning the environment the user is in to make the appropriate adjustments in order to optimise speech sound and other acoustic signals that are important, while reducing background noise that is unnecessary. Furthermore, the system localises the sound in order to provide the user with clarity regardless of where the speech is coming relative to their position. The sound SHD 7 contains 16 channels and all the features of the sound SHD 9. Features include SurroundSupervisor SHD that provides the user with precise signal processing, Sound Impulse Manger SHD which prevents interference from impulse signals, Speech Detection which amplifies speech while suppressing background noise, Noise Reduction which reduces background noise, and the BiLink and BiPhone which synchronise a bilateral hearing system to improve speech clarity and localisation whether in noisy environments or on the phone. The sound SHD 7 provides the user with precision and a natural listening experience that is unique to this performance level. This is done by taking into account the user’s auditory canal and working harmoniously with the user’s acoustic characteristics. The sound SHD 5 however, is a more basic version of the sound SHD 7 and does not include AutoSurround SHD in Music environments. Furthermore, it only has 12 channels.